Justice is blind, they say; judging from Zhao Liang's damning documentary, it's also deaf, mute and choking under the boot-heels of bureaucratic brownshirts. 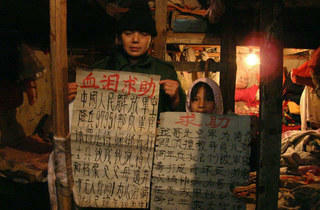 Beginning in 1996, Zhao started filming "petitioners"---provincial Chinese citizens who essentially live outside of Beijing's official centers for receiving formal complaints. Some protest unlawful arrests by local authorities, while others battle instances of job-related malfeasance and medical malpractice; everyone waits months, even years, before their cases are acknowledged. Police routinely beat and jail them, clerks give them the run-around, and "retrievers" prevent folks from entering the offices at all. Still, the claim-holders remain steadfast in their Hooverville-style shanty-camps. They aren't giving up without a fight. 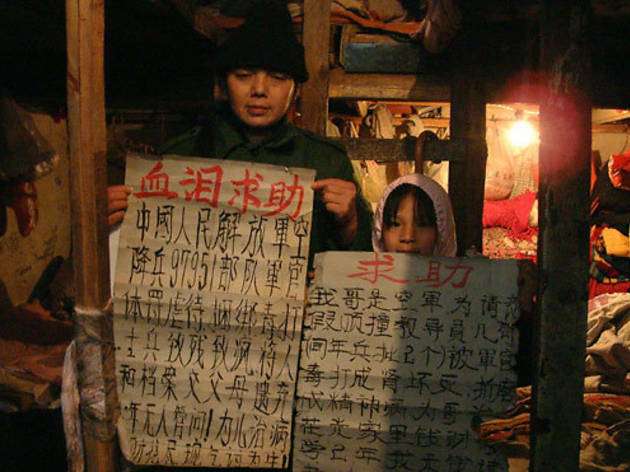 A companion piece of sorts to Zhao's 2007 look at totalitarian law enforcement, Crime and Punishment, this guerrilla-cinema essay is more than just a look at China's judicial morass; it's a dispatch from the front lines of a dictatorship. Cameras smuggled into petition offices (filming inside is a no-no) capture harassment, while government-sanctioned thugs threaten violence, and in one grotesque scene, the remains of an activist are found scattered along train tracks. Yet Petition is also a portrait of a sustaining outsider community, one fueled by dissent and the refusal to give in to a corrupt system. If the film stumbles when attempting to zoom in from a larger social landscape to a mother-daughter stand-off (coincidentally similar to one in the recent documentary Last Train Home), it succeeds in giving these victims of negligence and intimidation a voice.